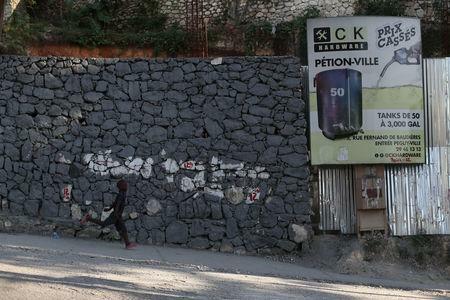 PORT-AU-PRINCE (Reuters) - A dispute between Haiti and a U.S. energy trading firm is leading to long blackouts and fuel shortages in the Caribbean nation, feeding anger at President Jovenel Moise's government following the collapse of a supply deal with Venezuela last year. 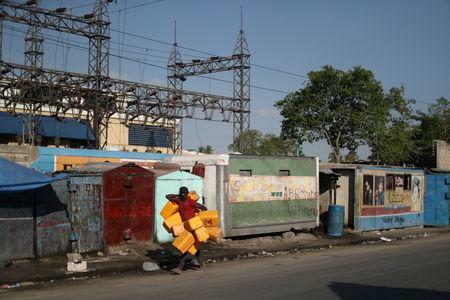 The capital Port-au-Prince’s fragile power grid was dealt a blow when Novum Energy Trading Corp suspended shipments in February, leaving residents without electricity for days and many gas stations with no fuel at the pumps. 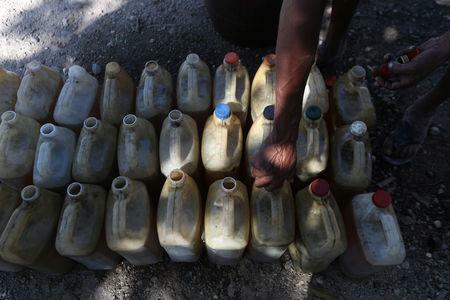 "I'm barely surviving," said 40-year-old Amos, one of scores of hawkers selling black market gasoline on a busy street in the capital. On bad day, he earns little more than 50 cents. "It’s going to be difficult to see change in this country."